The clinic has been in operation for more than twenty years in this facility and has treated more than thousands of satisfied clients. Doctor Hu has more than 35 years’ experience in the field and inculcates more than six Chinese treatment options to address almost any physical problem. He presently has his clinic for more than 25 years in Melbourne. We are committed to offer our clients and their family member’s forms of integrated Chinese Medicine practices in a safe and comfortable environment. Herbs and traditional form of physical therapy such as acupuncture, remedial massage and cupping therapy are offered as treatment options here to get rid of diseases and to protect one from ailments. All our traditional Chinese medicine practices are based on ‘Qi’ factor that has been discovered by Chinese people before 1000 years. Helping our clients enjoy the core benefits of this balance and overcome their illness and to maintain their physical and emotional balance and stress in order to live an healthy and peaceful life. 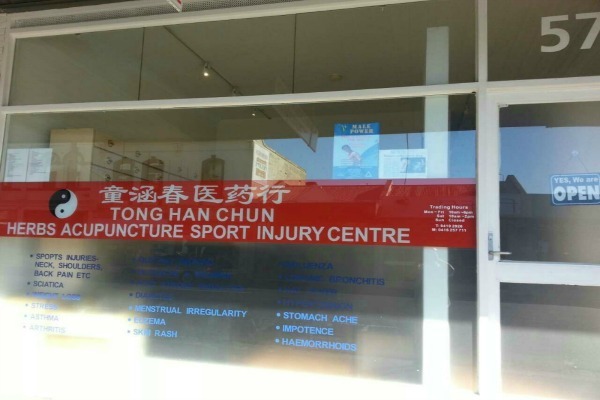 In Melbourne, Australia Doctor Hu runs the Chinese clinic and offers traditional Chinese treatment techniques to his clients. and offer prompt treatment services based on health problems of his clients. Before initiating any treatment plan, Doctor Hu promptly diagnoses the condition and frames a treatment plan that suits the unique needs of our clients. As a committed Chinese health care practitioner, he is committed to personal one on one healthcare. He initiates all treatment plans by finding the most appropriate approach for a patient and his condition and works personally with them on all levels of treatment. We combine Chinese herbs along with other aspects of Chinese medicine such as acupuncture, cupping therapy, massage techniques based on the concepts of both Yin and Yang. Through this, we have satisfied thousands of clients through our result oriented treatment processes that not just helps to overcome illness, but to maintain emotional balance and to achieve a happier, healthier and successful living.